In mid-December, lower school students completed a service project culminating in presents under the trees of many families who were otherwise unable to afford them. While the massive toy drive was a grade 4 service project, many other lower school families joined them in donating toys, explained Ken Allen, lower school dean of students. 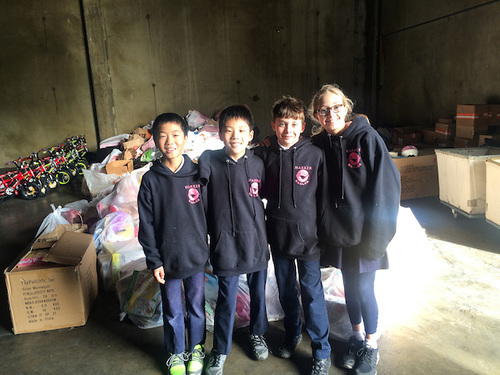 Grade 4 students went the extra mile by not only collecting toys, but also counting and loading them for delivery. At the end of the project, more than 275 toys were delivered to Sacred Heart Community Services in San Jose. “We wanted to take a minute to thank those of you that have already participated in the fourth-grade toy drive. The items are continuing to come in daily and we are extremely grateful,” Allen said during the drive.